One custom that I think Japan should try to preserve is courtesy. Hospitality, as known with the Japanese word "Omotenashi" is also the typical Japanese traditional spirit. After the Great Japanese Earthquake and Tsunami of 2011, many foreign people were very impressed and admired two pictures. The one was a very long line in front of a convenience store, the other one was the before & after pictures of Japanese highway road repaired for only 6 days. These pictures were shared and spread on the Internet very quickly. There seemed no fighting nor plundering from the picture of a very long line. 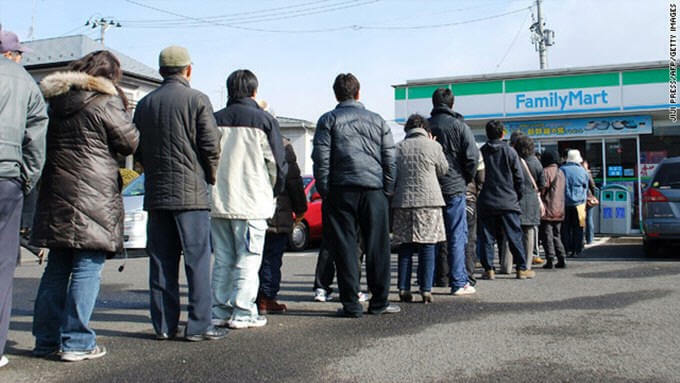 Cutting in line is common in many countries, so foreign people posted on the Internet about that like they should learn from us. When I started working at a restaurant, the manager told me about hospitality. Every meal is a little expensive because the tip is included at the restaurant. When foreign customers who didn't speak Japanese came there, I served them in English. They seemed so happy and relieved then they said "Good night" with big smile before they left. Japanese people also have the virtue of modesty. That's why we don't fight each other easily, but just obey the rules and keep patient. I think that's the best way to keep the good society.